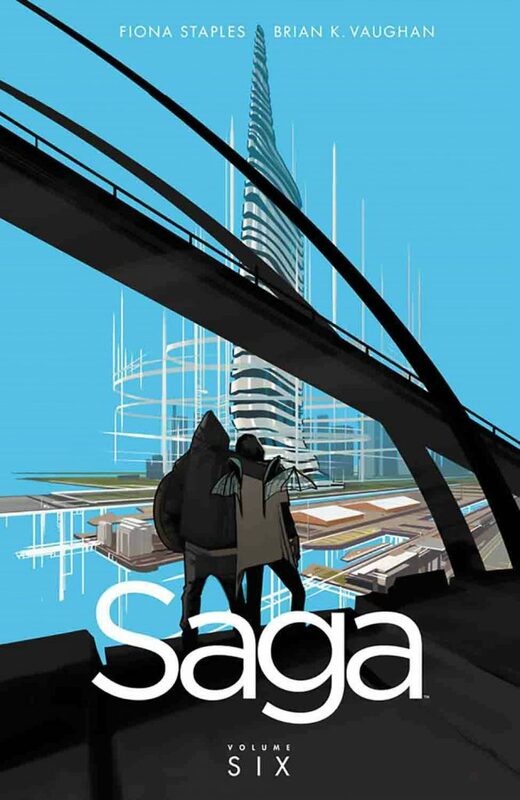 We’ve rebooted our Regularly Scheduled Interruption w/Vol 6 of our beloved SAGA! Welcome back to our favorite intergalactic space war! Everything is different, yet everything is also the same. Alana and Marko are back together and still searching for Hazel, who is spending her time in a fairly friendly prison camp learning how to read. We’re making new allies and running into old enemies, and Marko’s mom is probably going to start a revolution if we leave her alone for too long.